In the beginning of the 21st century, at the edge of the digital era, humanity is bad need of a new philosophical framework. Otherwise we shall not be capable to face the multiple challenges of both the rise of AI and the uprising climate-change. But were to find a proper mindset? 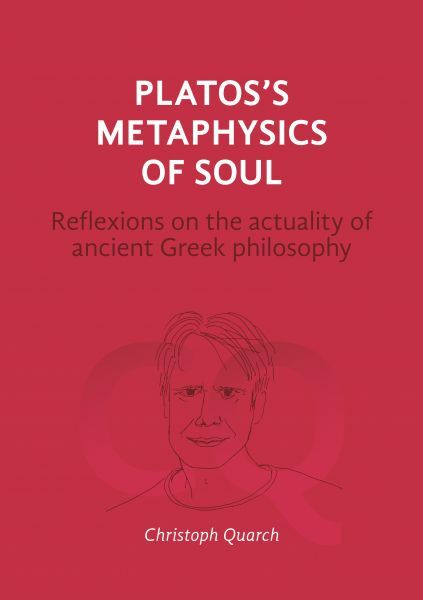 Christoph Quarch gives the answer: In Plato. Given that we understand his teachings well, the oldest thinking seems to be most contemporary. For Plato offers a 'Metaphysics of Aliveness' by which being is understood life – and human existence as an invitation to grow and blossom. By his re-lecture of Plato's final dialogue "The Laws" Quarch's essay outlines the key-features of a most fascinating and inspiring approach to flourishing humanity. **** "Soul, my friend, seems to have been misunderstood by almost everyone – both concerning her energy and all her other aspects and her coming-into-being. The truth is that Soul belongs to the principles as she is older than any phaenomenon and directs any change and reorganization of everything." (Plato, Laws 892a). Dr. phil. Christoph Quarch (*1964 in Düsseldorf) is a philosopher, best-selling author, speaker, and consultant for companies and organisations. In collaboration with DIE ZEIT-magazine he runs a program of Philosophy Travels all over Europe. He teaches philosophy and ethics at different universities. Editor and author of several books, lately: Platon und die Folgen (Metzler 2018), Nicht denken ist auch keine Lösung (GU 2018). Quarch's philosophy is rooted in the tradition of Hans-Georg Gadamer's Philosophy of Hermeneutics, with who he worked while studying at Heidelberg University. His major purpose is a well-grounded and advanced interpretation of human existence by which guidelines for a good and healthy life can be achieved. As for this he refers to different philosophical traditions from Plato and Aristotle up to Nietzsche and Heidegger. He is strongly inspired by what he calls 'Plato's Metaphysics of Aliveness' and pre-Socratic thinkers such as Heraclitus.